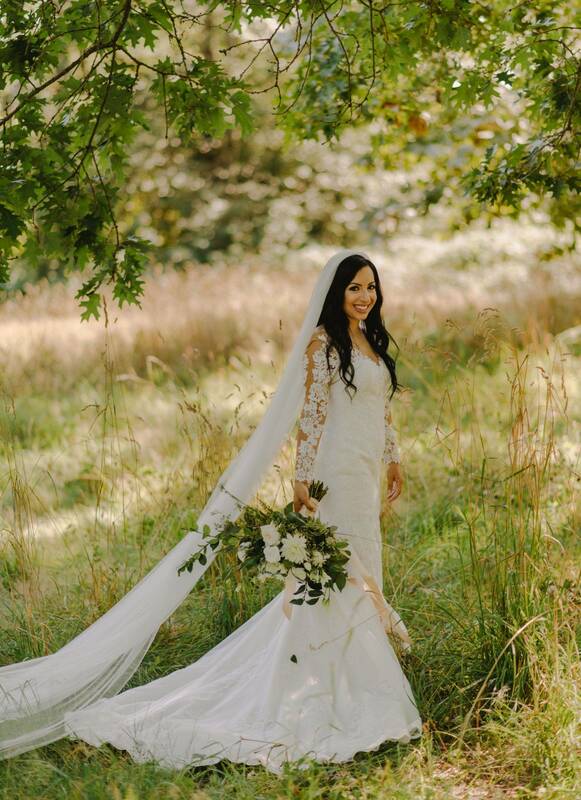 Marjan and Ricky's wedding was a romantic, garden dream. Lush, natural florals were the focal point of the design with an abundance of greens and gold accents. Fresh floral & Decor - Ruffled Rose Co.
Annikka designed Marjan's beautiful, garden style bouquet with trailing jasmine vine and champagne cascading ribbon. M &R's darling sweetheart table complete with feminine lace and delicate green vine embellishment on the chairs! 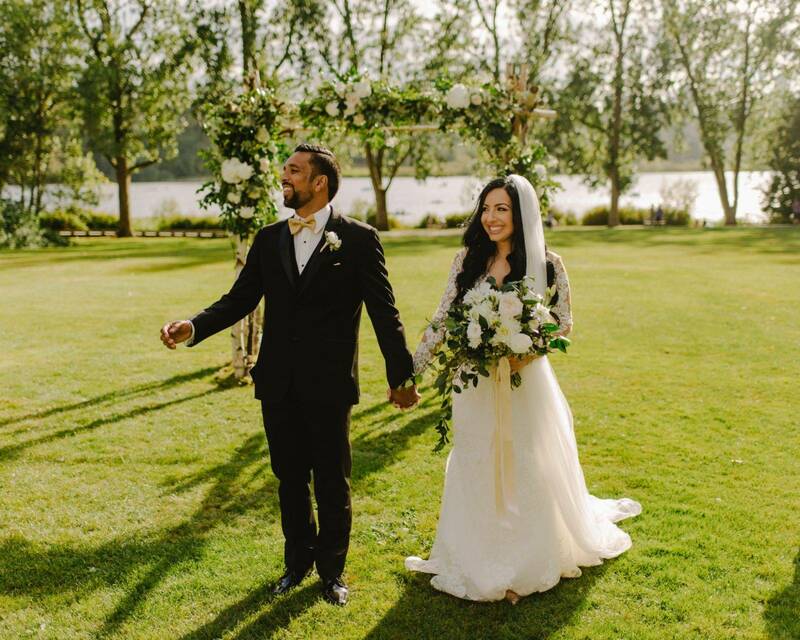 A gracefully classic & timeless summertime wedding that came together like a dream. Hart House remains one of my absolute favourite venues with it's natural beauty and charm. What a perfect day and beautifully captured by Mathias Fast.